one happy little crafter: One Happy Little Krafter! Hello, to you all, hope its been a good week for you all......so it seems we're forecast some good weather here in the UK this weekend, lets hope so! Something a little different from me today, I have seen quite a few projects popping up all over blogland with a black and kraft feel to them, and its been something I've been keen to try, so when I noticed that this weeks Less is Moore challenge theme is "Sand"....I thought "hmmm" and got started! 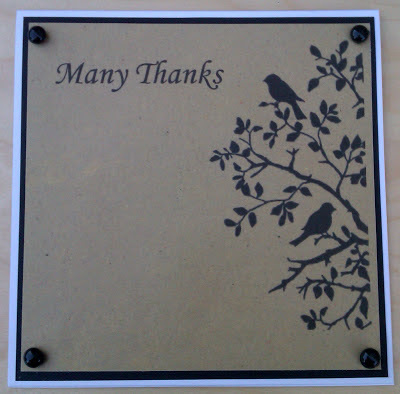 The silhouette image is printed straight onto the kraft together with the sentiment (font: Monotype Corsiva), which I had in mind for this weeks Aud Sentiments challenge and have added a few black dewdrops as a finishing touch. 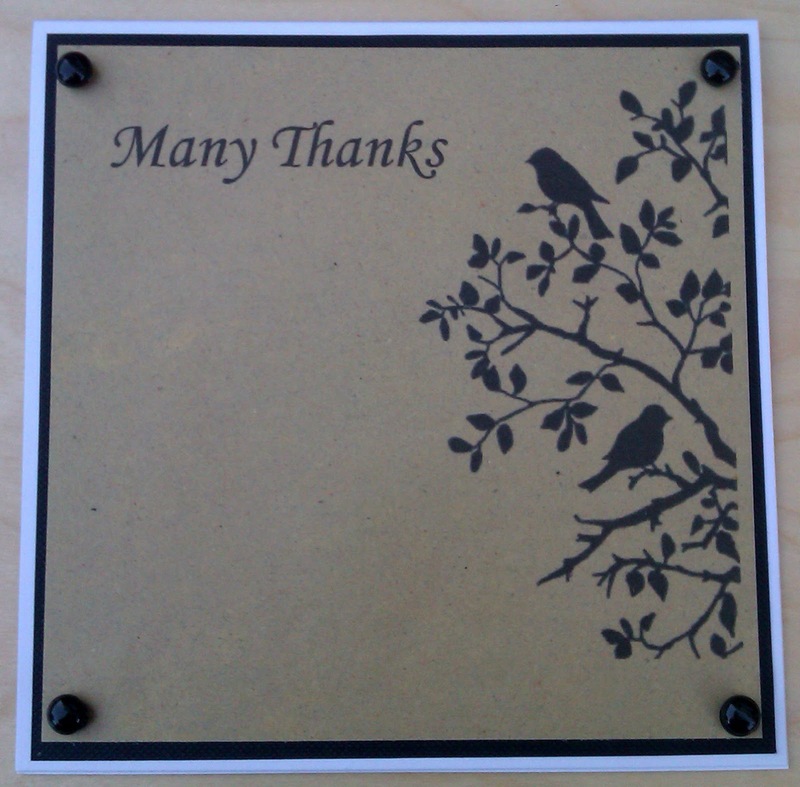 Gorgeous card, I love kraft & black together. This is gorgeous Lisa, a really stylish design. Let's hope that the weather forecast is correct! Great CAS card I too like the black and kraft. Great look. Thanks for joining our two word challenge at Aud Sentiment.